The life and work of a software development professional is pretty hard and oft it is bedlamized, which is why there are so many rants and uproar on the internet from developers on various topics from technology to development methodology. 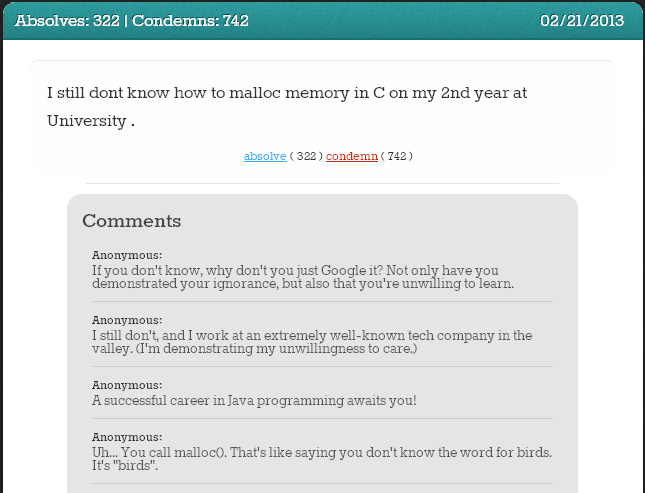 Now when went through a website that is specifically there for coding confessions. 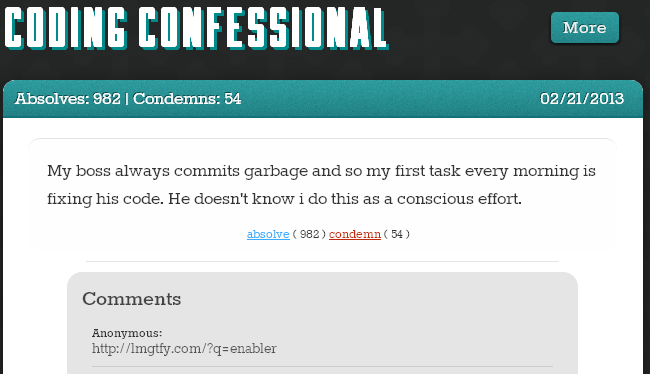 Coding confessional allows you to post your confess your coding catastrophes and wrongdoings. 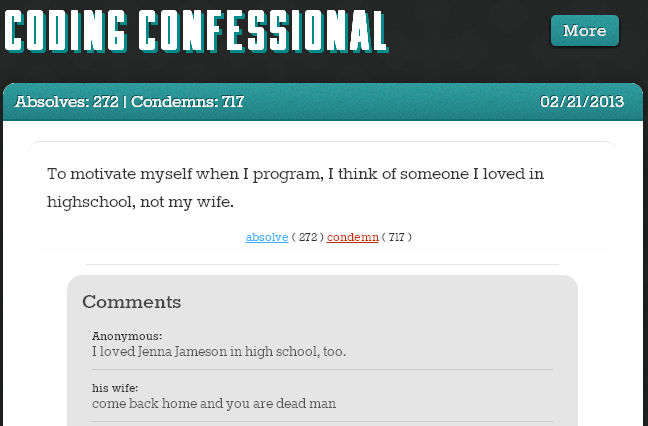 We came across some pretty interesting confessions. Based on the gravity of their crimes they are either condemned or absolved by those who view their confessions. 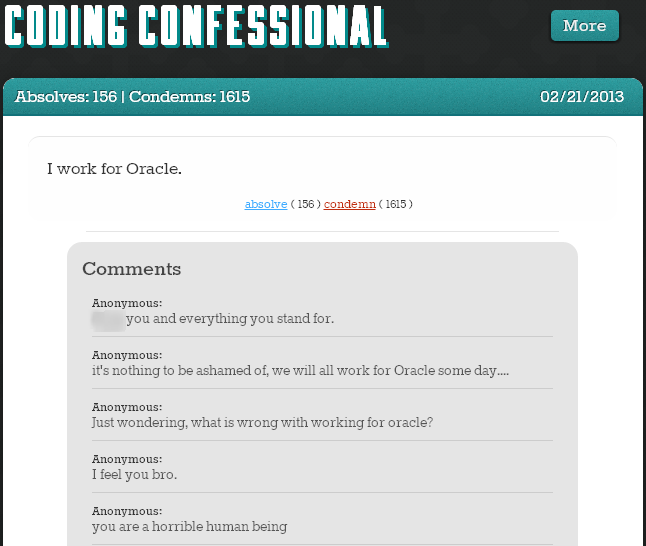 We came across a number of confessions that correlated with either hating a particular technology, a tech company or simply their boss. 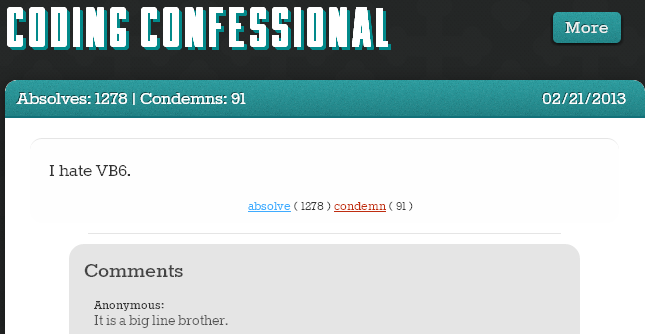 Now we have lined up three confessions that show hate either by the confessor or those who are judging. You will find it very interesting. Well this one is a no brainer but it does have certain eye-opening details. In this confession is something that we are all guilty of at some point in our life or might be still doing it. I know I still debug using printf myself from time to time. Some developers knowingly choose to ignore certain aspects either about learning something new or clearing up doubts about a client’s requirement. Either has weighed heavily down on developers. You code better when you are in your comfort zone. Apparently some developers like to get extra comfortable. Basically i put here because once you see it you cannot unsee it, and why should only I suffer. Wait that cannot be a bad thing can it? Not if you are doing it the way this guy did. The devil is always in the details. I did say deadly when we started out. Some developers usually resort to misleading clients to cut short work. This can result in some really catastrophic failures. 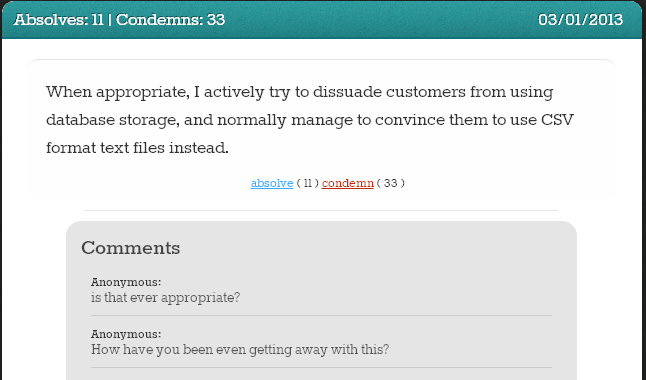 Developers are known to fool around sometimes. 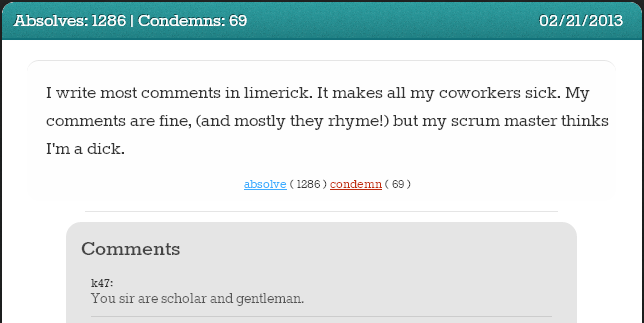 These can result in some really hilarious coding confessions apparently. So these are some confessions that we came across. 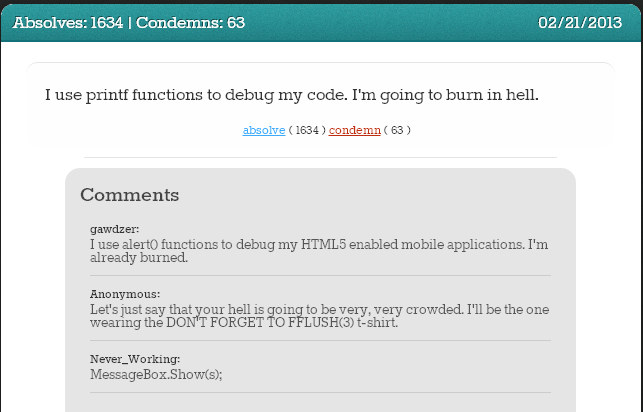 What is your coding sin lately? 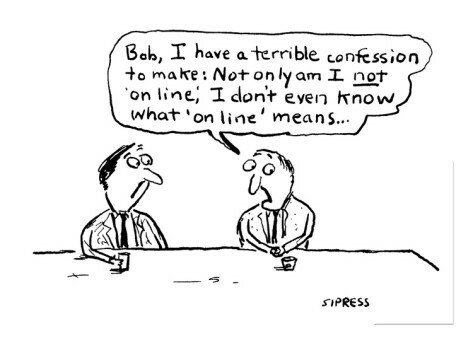 CONFESS!!! !